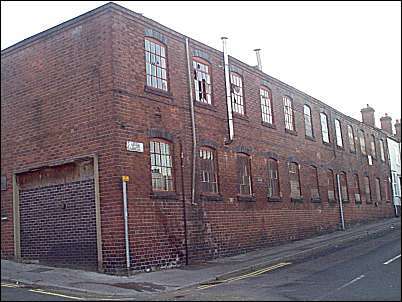 Messrs. Boulton and Floyd, Lovatt and Hall Street Works, Stoke-on-Trent. "One of the most remarkable features of the modern potting trade lies in the extremely beautiful work which is produced at popular prices. This is no doubt due to the 'Art Revival' of the past twenty years, which has stimulated the public taste, and created a demand upon all classes for artistic ware, such as formerly was with the reach of the rich only. 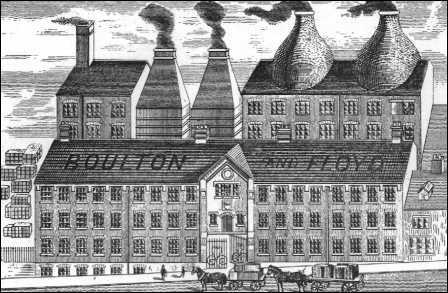 A firm that has done as much as any other in the Potteries not only to meet, but to create, a demand for these goods is that of Messrs. Boulton and Floyd. Although established as recently as 1886, this business was from the first a distinct success. The proprietors recognised the existence of the demand to which we have referred, and went boldly to work to meet it. 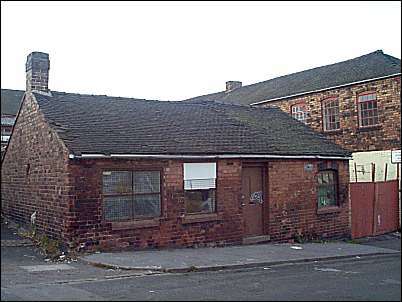 The works were formerly at Cliff Bank, but the business speedily outgrew the accommodation afforded and in 1890 a removal was made to the commodious premises at present occupied. 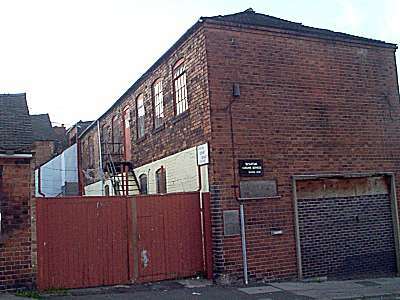 These comprise a handsome red-brick factory built to their own design, and embodying every modern improvement in machinery and appliances. Much of the plant is of a special description adapted to the character of Messrs. Boulton and Floyd work. A very large number of hands are employed, many being expert designers. The firm's specialties lie in enamel and guilt under-glaze and majolica ware - pedestals, jardinièrers, flower pots, etc. These are produced in very beautiful designs, most of which are registered by the firm. Novelties are also being constantly introduced. The form issues very beautifully illustrated catalogues, which should be in the hands of every dealer and exporter. Messrs. Boulton and Floyd have a very valuable home connection, and also export extensively to America and the Colonies." 1893 advertising and trade journal."